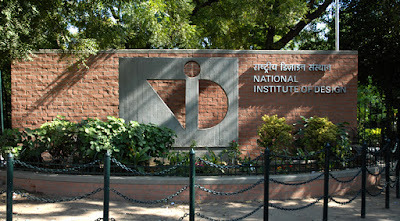 The National Institute of Design came into survival in the year 1961. It has three campus located in Gandhinagar, Ahmedabad and Bangalore. It proposes various graduate and master courses in the area of designing. Students will get admission in National Institute of Design on the basis of Design Aptitude Test, Studio Test and Interview. Candidates have to fill and submit the forms online on the recognized website of National Institute of Design (NID 2017). The application form will be released in 2nd week of October, 2016. Candidates are advised to go thoroughly through the instructions booklet before filling the application form. It is mandatory for candidates to upload scanned images of photograph & signature in the mentioned particulars. If fee of candidate is being paid by demand draft then it is necessary for candidate to send printout of the application form with DD before last date. For undergraduate courses-The maximum age limit to apply is 20 years. There is relaxation of three years for the candidates of reserved category. It is mandatory for a candidate that he/she must have passed or is appearing in 12th or equivalent examination form a recognized board. For postgraduate courses-The maximum age limit to apply is 30 years and three years relaxation is given for the candidates of reserved category.It is mandatory for the candidate that he/she should have cleared or is appearing in bachelor degree from any discipline from a recognized university in India. The Design Aptitude Test (DAT) consists of only one question paper. The duration of total three hours is given to students for solving the question paper. The question paper is always in English language. The question paper comprises of both objective and subjective type of questions. The question paper so solved by the candidates is of 100 marks. The studio test is also supervised in English language and it is also for total of 100 marks. Studio test is then followed up by the interview rounds. There is no fixed syllabus for the entrance exam. The studio test comprises of various section of various formats like practical assignment are allotted, group discussion, etc.